Summary: Some banks are making other applications available through their bank app to add value and bring in more customers. What you should know before jumping in. Research finds most people like a good cup of morning coffee. In fact, 64% of Americans say they drink at least 1 cup of coffee each day and the average person guzzles 2.7 cups. Of those who say they drink coffee, 76% add milk, cream or sugar, while 24% take it as it comes. Finally, 66% of women and 62% of men say they drink coffee every day. 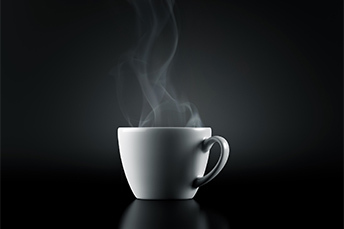 Like most people, most bankers also like a good cup of morning coffee, as they think about the day to come. As you do that this morning, consider that banking and non-banking services continue to converge. So, here's an interesting idea - what if you could incorporate non-bank apps into your mobile banking app to benefit your small business customers? That's precisely what Belgian bank KBC is doing. This summer, the bank said it will integrate two such services on its banking app. The move will allow bank customers to pay for parking in 50 cities and towns across Belgium, as well check the balance on employer-issued meal vouchers. Best yet, customers of the bank will not need to install any additional apps, because the non-bank services will be embedded within the KBC app. The idea is to make other applications more accessible to people and drive more customers to the bank's app, by offering add-ons and flexibility. In theory, it's a great concept and one that could be a boon for a community bank too. By offering customers value-added services through your own bank app, you're likely to increase traffic to your bank and increase customer stickiness. At the same time, you're offering small business customers a viable opportunity to boost sales through your mobile app. It's an interesting concept, especially given a recent report by Malauzai Software that suggests bank customers are seeking to use third-party financial applications, rather than banking sites provided by banks or credit unions. Given this trend, it makes sense for banks to want to keep more customer value and activity in-house. It's especially pertinent for community banks whose mobile offerings may be less robust than larger competitors. One wonders, however, how an arrangement like KBC's would fly with regulators here in the US? It would certainly require some serious homework first. Notably, over the past several years regulators have been placing heightened emphasis on banks managing third-party vendor risk. Since responsibility for properly overseeing third-party vendor relationships falls on the bank's board and senior management, some may be hesitant to test the waters like this. Further, it's unclear whether such an arrangement would receive regulatory blessing - at least within the current framework. Certainly, it will be interesting to see whether and how the EU's new Open Banking model mandate propels the issue forward globally. Thanks to new legislation, banks in the EU are now required to make it possible for third party companies to build applications and services around the bank. Banks are in the throes of grappling with whether to offer direct access to their systems for the required data set or do it through APIs. This type of collaborative model hasn't hit the US yet, but if it does, we're more likely to see additional partnerships between banks and non-banks akin to the KBC model. While it may be several years before this concept really takes off, it never hurts to get a jump on innovation. At least it is something to think about as you sip your hot coffee today. Warren Buffett told CNBC that he believes the economy is stronger than the 2.3% reported for Q1 2018. He further noted that the past 7-8Ys have averaged approximately 2% and that the economy is stronger now. Many economists believe that the effects of the tax cuts will show up in Q2 and push economic growth further. Global M&A was at a record high in Q1 2018, totaling $1.2T, due to US tax cuts and faster European economic growth. This number reflects the increased value of deals (67% increase YoY in Q1) as the number of deals actually decreased by 10% to 10,338. Instagram added a built-in payment feature for some US users. It allows users to register a debit or credit card, set up a PIN and buy things through the app. Even if Instagram doesn't get a percentage of the revenue, if in-app purchases are easy to complete, those brands are likely to boost ad spending. Snapchat has also been testing an internal payment feature. The P2P feature may be next.